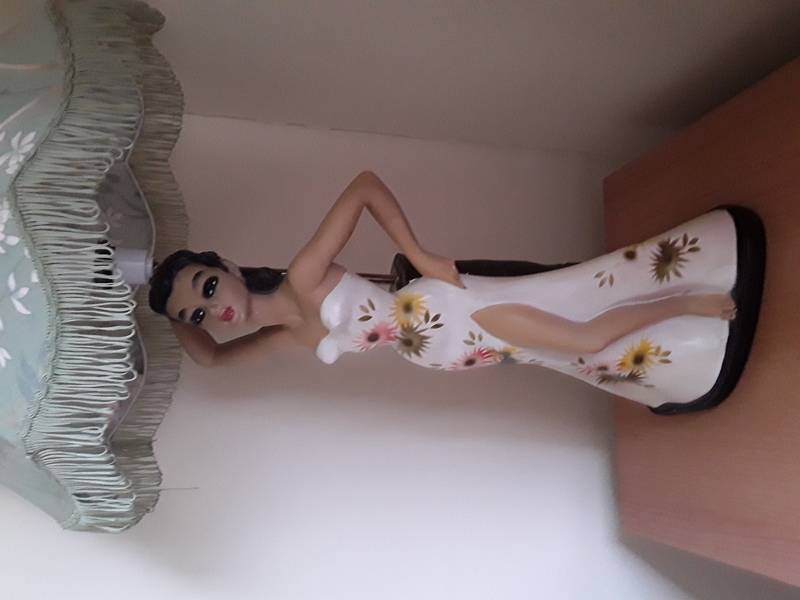 This is a 1961 chalkware English table lamp of an exotic girl with the English registry number that helps date the lamp to 1961. 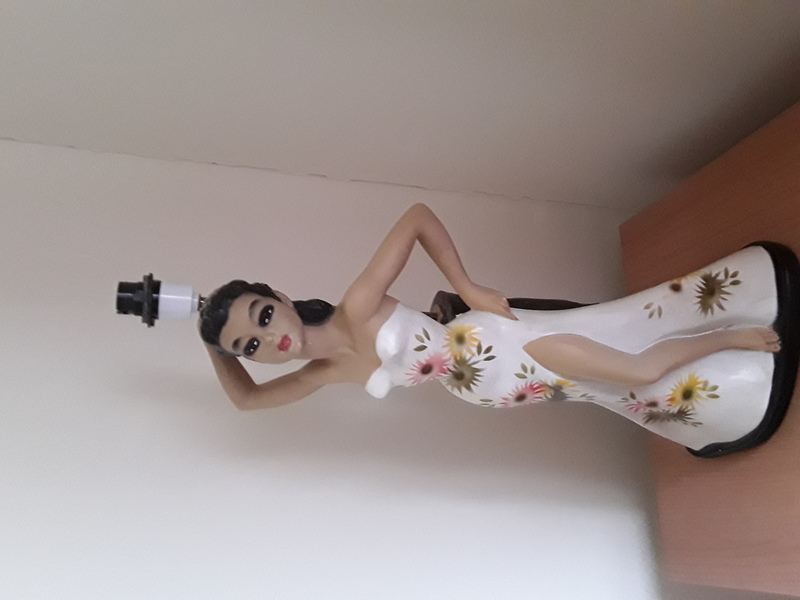 The value of this piece is 40 to 60GBP resale.Here are some great online sites for selling on your own; Tradesy.com, Mercari.com, Wanelo.com, decluttr.com, Bonanza.com, Etsy.com, eBay, Pamono.com, and Chairish.com (good for furniture and decorative items). I will also list the most popular local online classifieds where the buyer picks up from you;Varagesale.com (local), and letgo.com (local), 5miles.com (local). You click the stars and hit submit to end. That will expire on its own. Do click the stars to end this one.